4 of the 5 Great Lakes about to freeze over | Watts Up With That? The latest NATICE graphics show Lake Erie totally covered with 9/10+ ice, Lakes Superior and Huron are nearly totally covered with 9/10+ and Ontario about 80% covered with 7/10+. It is likely Superior and Huron will join Erie with total coverage of 9/10+ in today or tomorrow’s report. It is possible Ontario could do the same as it is experiencing near or sub-zero temperatures tonight. It is an unusual event for 3 of the lakes to freeze over, which only happens once every 6 to 8 years. Four or more freezing is a most unusual event. February 19, 2015 in Cold wave, Weather. So mush for the hottest year ever. They froze over last year too. Yes they did freeze over last year. However this year, the lakes were actually well behind last year by 20% just two weeks ago, and it wasn’t until Tuesday that the 2015 total surpassed the 2014. 2 weeks ago, we had the 6th largest freeze over 35 years for that particular date, now we have the largest in the last 35 years. Note, I say 35 years because that is how much data I can see. It could be the largest for a much larger period, or not. It was the biggest lie ever. 2 weeks ago, we had the 6th largest freeze over 35 years for that particular date, now we have the largest in the last 35 years. Note, I say 35 years because that is how much data I can see. Interesting. Are these facts from your personal records, some pay-for-service ice records, or public domain source? It was the hottest year globally, not in the U.S. The U.S. is not the world. What we are seeing in North America is the result of Arctic amplification (Arctic warming at a fast rate that mid-latitudes), causing the Jet Stream to take extreme paths. Parts of the Arctic and other parts of the Northern hemisphere are seeing record warmth, while eastern North America experiences record cold. Evidence is mounting that this a direct result of AGW. It is -43 F this morning (19 Feb 2015) at Eureka NU in the far northern Arctic of Canada and it has reached as low as -56 F this month (Feb 2015). Barry, Is that what you consider “record warmth” in the Arctic? What is remarkable is that you can keep a straight face when you say that. Evidence is mounting?? Seriously? What a world you live in Barry. This meridional flow of the jet stream is nothing new. See https://stevengoddard.wordpress.com/2015/02/19/stiff-competition-for-stupidest-tweet/ for a February 1934 temperature map of the CONUS which is quite similar to this February’s temperature distributions. Saying that the “evidence is mounting” is simply hand-waving. Also, when error bars are considered, the unqualified statement that 2014 was globally the hottest year ever is simply not true. No it wasn’t, even Gavin who originally made the statement admitted it was outside the error bars, and was only less than 40% probable. This is why I’m a skeptic, I can’t stand being lied to. There is evidence that Barry is AGW (Al Gore’s Wife) and has been mounted. Sad how the Stockholm Syndrome works. How many people died of the HOT last year. Want to guess how many have died of the COLD, this year? @Barry, calling something true that has a 38% probability of being correct is the best of lies, the best lies have a grain of truth in them. Goebbels would be proud. Wasn’t the hottest ever in Canada either or Mexico so you can pretty much eliminate North America. Still not the world. And so what you are saying is if it wasn’t for global warming North America would actually be warmer now? As an Analytical Chemist, I cringe when your kind of logic postures as science. I do understand your confusion though, because if you are not doing real science everyday you may easily be led astray by Climastrologists and the media. Or it could be that the US has the highest concentration of home computers hooked to the internet, thermometers, time to check them, and thus skeptics. But man those Tswana? Those guys are cooking! You came to a knife fight with a nerf gun and wearing your sister’s dress, Barry. Do yourself a favour: switch off the TV, unplug from the MSM messaging and do some research at sites like this. Looking at the temperature of the earth as measured by satellites, over the last 18 years, might be a good place to start, for example. Then you can move on to climategate. There is hope for you. Barry, if your AGW postulation is true, then how do you explain the New England February’s of 1905 and 1907?? 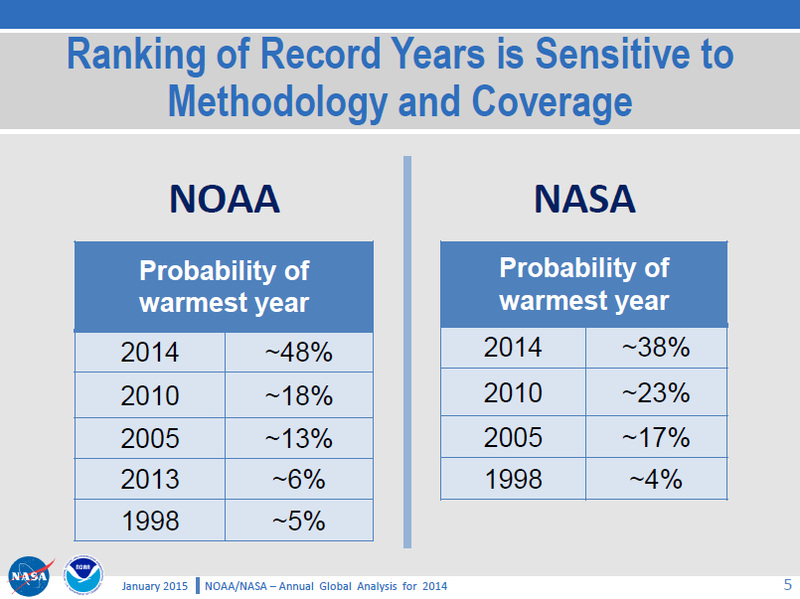 2015 is likely to be behind those two years temp-wise. There are other years as well that were either colder and/or snowier than this one. All before your supposed AGW put us in a death spiral. If you can explain all those records away pre-AGW, then why cannot we assume that this winter is non-AGW induced as well. You see, it works both ways. What happened in the past CAN happen in the future without need for new explanation. The problem is that I am having a hard time finding our where exactly IS this part of the world that is so much warmer that – despite the cold in N America, and N Europe – the planet is warmer overall. The Eastern half of N America is uniformly 25-30 F below 30 year normals, not sure how much the UK is below, but it is also enough for the people to be talking records. Similary my relatives in Norway are saying the same thing. So somewhere must be ******* warm to make up for it! Could it be in places where we don’t have so many thermometers that people have to infer the data? Barry, do you realize you may have stumbled onto the reason for ice advance into mid-latitudes? AKA ice ages? AGW is UFO for people with all their own teeth. Barry, can you be a bro and pass over those temperature charts for China, Mongolia, the Sudan, the heart of the Congo, all of Antarctica, all of mother Russia, Saudi Arabia, Lybia, Iran, Chad and Namibia? I have someone else here trying to tell me that last year wasn’t the warmest on record and I wouldn’t mind showing the data and make this guy look like a real fool. Thanks in advance, from one Orwell lover to another..
P.S. The data can be made up too, as long as we have ‘data’. Oh wait who am I kidding, we don’t even need data, we just need to say it and it becomes true. “Globally”? If the U.S. isn’t a part of that, it didn’t happen “globally” then, did it? So, If you don’t mind sir, could you please tell everyone your analytical degrees?. Your guru ALGORE only took ONE general science class after he flunked out of Divinity school, and If I recall correctly, made an impressive D!. This gives him the authority to totally negate the yeas of research from historical meteorologists, historical climatologists, and atmospheric scientists like Dr. John Christy at UAH, Even the so called “science Guy- Bill Nye” (A mechanical engineering student by degree) does not have the credentials to spout off about this topic. Unfortunately, the low information voters (LIV’s), this includes the Occupy/Bowel Movement types who watch the LSN actually buy this crap without using a single the neuron in their brain. For some reason, the folks on OBola’s side of the fence seem to like the thought of disaster, anarchy, and dictators as long as they can get free stuff that someone else has paid for. Let’s here it Barry…your academic credentials sir please? not sure how much the UK is below, but it is also enough for the people to be talking records. Low water levels caused by global warming. They do say the key to the future is in the past. It’s a cycle I tells ya. After a record low point in January 2013, Lakes Michigan and Huron have gone on a record-breaking rebound. Connected Michigan and Huron, as well as Lake Superior, saw dramatic water level recovery from January 2013 to this November. Going back to the mid-1800s, there has never been a faster recovery over a 23-month period, beginning in January, said Andrew Gronewold, a hydrologist with the Great Lakes Environmental Research Laboratory in Ann Arbor. Now think about snowfalls being just a thing of the past. They used to be confident about that until boooooooooooooooooooosh! Now that is also caused by global warming. Global warmers should go and work for the Onion. I guess having folks like Dr. Al Gore and Barry “leading” the key issues of the day is not a new cultural phenomenon. Some dude name Isaiah made this assertion a few thousand years ago, Isaiah 11:6 “A little child shall lead them.” I apologize in advanced to anyone offended by my clinging to a theological reference. 2nd hottest globally. For whatever that is worth. I have been reading about water extraction by humans and water diversions by humans from the great Lakes. I suppose that is caused by the man they call global warming. Here is a reminder of what they said in the past about ice cover. ….Climate change could further reduce scant ice cover observed in recent winters, increasing evaporation rates and dropping water levels in the five lakes that collectively make up 20 percent of the world’s surface fresh water….. The fall in water levels is attributed to such factors as less precipitation and the persistent, long-term decline in the lakes’ ice cover each winter. …One might think this causes more precipitation around the lakes, but the warmer winter air is causing a shorter duration of ice cover. In fact, the amount of ice covering the lakes has declined about 71 percent over the past 40 years…. Last spring and early summer was astonishing for the ice still on the Great Lakes. We must act now. Things are pretty weird, dude. Last week for most of the week it was around 15 degrees F colder in Louisville than in Anchorage. I am in California and it has been oddly warm and there is little snow pack. When it is warmer near the Arctic Circle than south of Chicago I think Houston we have a problem. And you guys take the term ‘global warming’ too literally. One it is a statistical average for the globe of course. Secondly the instability of the climate (which is what we are talking about) will interfere with agriculture. That is certainly true in California where farmland is going out of production due to drought. Hey man, I hope you are right that this all does not matter and that we will get a more normal climate where we have regular rains in the winter here in Cal. But when it rains it is raining harder and then it is dry for a length. Don’t insult me if you can help it. Thanks. Lake Superior is a superior climate denier! Show me, I’d say. Lake Superior is pretty darn difficult to warm up. Tends cool down to 4°C every winter. If it freezes over the whole top, it will be 0 degC, at least at the surface. And this is unusual. In 2012, only 10% of all the lakes had ice cover this time of year compared to 85% today. Here is a handy chart. It is updated weekly, on Friday, though, so the data is a bit out of sync with current conditions. If it freezes over the whole top, it will be 0 degC, at least at the surface. And this is unusual. In 2012, only 10% of all the lakes had ice cover this time of year compared to 85% today. No. no. It is far worse than that. So, the air heats up (because it crosses a comparatively “hot” 1 degree surface, roughened by wind and waves, and it gains water vapor’s energy and enthalpy. Now, if the lake freezes over … Assume the air temperature is still at -10 deg C.
But the air is “dry”! No evaporation! 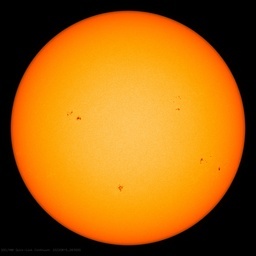 Heat is being radiated into the sky/space from a surface now -18 + 273 = 255 ^ 4th power. In addition to radiation losses being reduced, much less energy is lost from the water below because the new ice cover insulates the water from the moving air, (so the film coef for convection goes down), the energy that used to “evaporate” water (heating air and changing its energy with that extra enthalpy by the water mass that used to go “up” into the air) is now inside the freezing water below the ice instead. So, after freeze over, the downstream air is much colder, much drier, with much less humidity to deposit as snow and ice elsewhere. In addition to all that you outline, there is also despite ice insulating water below, heat loss continuing and growing ice thickness. Last year, Superior had ice in places until the last week in June, maybe later. The water remains exceptionally cold. This provides a nice running start to ice build-up the following year unless some unusually warm summer weather, or a warm winter, breaks the cycle. We shall see. Last year, Superior had ice in places until the last week in June, maybe later. The water remains exceptionally cold. This provides a nice running start to ice build-up the following year unless some unusually warm summer weather, or a warm winter, breaks the cycle. We shall see. True. We do not know what this coming summer will bring, not what next year portends. Well, his theory is correct – but ONLY where the available sunlight hitting the newly melted waters,a nd being absorbed into the newly opened ocean waters (or lake waters) is greater than the amount absorbed and reflected by the formerly frozen snow and ice! At what latitude does a Death Spiral take place, and when does it take place? Seems like a simple requirement of the problem, but Sereze refuses to report where that difference occurs. See, if there is no sea ice (no lake ice) there can be no Death Spiral. If the sea ice (or land ice) copletely melts every summer now, then the theory of “thinner ice (one summer) means thinner ice (the next spring and summer) and thus “the thinner ice will melt faster the next summer.” Well, if all of the ice completely melts each summer – even if only for one day – then ALL of the next winter’s ice needs to re-freeze the next winter. It is ONLY the combined effect of “What is the difference in energy absorbed by open water and that absorbed by ice covering that water?” AND “What is the available energy reflected from open water and from ice covering that water?” THAT is the quesion Sereze refuses to address. Well, there is no sea ice and no lake ice in the tropics, so his theory is irrelevent to CAGW. And to global warming in general. There is almost no waters covered by ice in the southern hemisphere – certainly none down to Cape Horn at -56 south. So, ONLY the ANtarctic Sea Ice matters down there. And, when you run the numbers, the Antarctic sea ice IS EXPANDING, and the greater area of Antarctic Sea Ice IS reflecting more energy every year by TerrorWatts from the earth. More Antarctic sea ice DOES cool the planet! More sea ice one year DOES increase the residual sea ice left over to re-freeze the next year! (The Antarctic sea ice anomaly DOES keep getting larger each year! Much more energy IS reflected by sea ice between 67 south latitude and 58 south latitude every day than is absorbed by the previously open water! Now, what was true between 68-69-70 south latitude and 58 south latitude is even MORE TRUE up north. At 42 north, Lake Eire. More lake ice = more energy reflected, less energy absorbed. At 46-47-48 north, Lake Superior? Same thing. More lake ice = more energy reflected from the region, colder weatehr, more lake ice area and thicker lake ice left over each summer (almost! – Not quite yet!) to refelct energy later each spring and reflect energy earlier the next winter. At 60 north? Hudson Bay, Bering Sea. Yes, Sereze is correct. These still melt every year in the summer, so there has never (lately) been any multi-year thick ice remaining year-to-year. But, less sea ice still means more solar energy could be absorbed, more sea ice means more energy reflected. (Hudson Bay has the same physics and albedoes as down south at the Antarctic’s sea ice edge: The Antarctic sea ice is “cleaner, and has a different albedo characteristic summer melt period, so you have to run the hour-by-hour math for every summer day. But three things differ between Hudson Bay and the Antarctic Sea ice. 1. There is a 1.2 Mkm^2 limit on HudsonBay ice. It cannot get any larger. It cannot get any smaller than today either! When “all” Hudson Bay sea ice melts every year, there is no more to melt. (Obvious, isn’t it?) The only thing that “more” global warming can do is melt that final bit if HudsonBay sea ice a bit earlier in the year. But it will STILL freeze each winter. Then be present to melt again the next year. Globally, there is no feedback in planetwide heat gian frmo entirely losing all of Hudson Bay’s tiny 1.2 Mkm^2 area. 2. As mentioned, Hudson Bay is tiny. The “excess” sea ice around Antarctic at latitudes 60 south and 61, and 62, and 62, and 64 etc. has routinely exceeded Hudson Bay in size recently. And that excess sea ice anomaly (the excess sea ice down south) continues ALL year to cool the planet. 3. Hudson Bay is melting during June-July-August each year, when the sun is at its lowest heat energy at Top of Atmosphere. Antarctic sea ice is instead reflecting energy all year, but the Antarctic summer is at a time when the earth is closer to the sun, and the earth is receiving more energy from the sun every second of every 24 hour day. By September, at the equinox when the Antarctic sea ice is reflecting 5 times the solar energy as what the edge of the Arctic sea is receiving, Hudson Bay (and the Bering Sea) are both completely melted. There is no sea ice ever present then. 4. (I miscounted above.) There is NO LIMIT to the area possible for Antarctic Sea Ice to expand into. It can keep going every year without boundary, ever closer to the Equator and ever-more reflecting more energy back into space. Not so for Hudson Bay. Once frozen, it can get no larger. Once the Arctic Ocean freezes over down to the Canadian coast and the Siberian coastlines, it can get no higher in sea ice area. So, there is an absolute maximum amount of solar energy that can EVER be reflected (or absorbed) in the Arctic Ocean, Hudson Bay, or Bering Seas. In the Arctic Ocean, howeer, the sea ice is much further north. 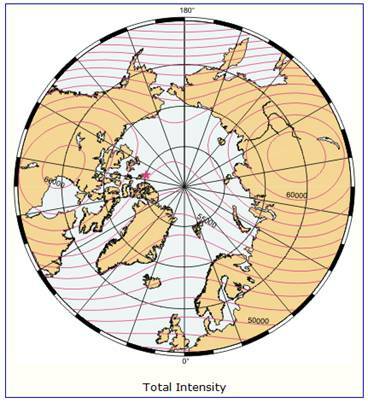 Its southern border is a rough circle well beyond the Arctic Circle at 71 – 76 – 82 north latitudes. At THOSE latitudes, Sereze’s theory is reversed. There is never enough solar energy present to be dominant in heat absorbed/heat lost/heat reflected in any month other than May-June-July! The other nine months of the year? More Arctic sea ice = less heat lost from the Arctic Ocean = a warmer planet. Less Arctic sea ice = more heat loss => A cooler planet. When the incident angle of the sun’s energy is less than about 8 to 10 degrees, water is almost totally reflective. There have been a number of different equations for the albedo of the open ocean that have been proposed over time. The only one that has stood up to actual measurements over open water at different wind speeds is Pegau and Paulson, 2001 using data (as usual) from the SHEBA over-winter Arctic sea ice study. W. Scott Pegau, Clayton A Paulson; Annals of Glaciology 33, 2001. Notice any pattern here? There are several others as well we don’t have to go into. Notice that Fresnel equations are useless (misleading even!) on the open ocean with live waves and real measurements. Regardless, Pegau and Paulsen duplicate the measured albedo’s of direct radiation to the lowest solar elevation angle, and provide measurements for wave and wind speed corrections that do work. In my opinion, their values are a little bit too low, but they at least provide measured data to comment upon. Above 30 degrees SEA, maintain the default 0.066 values. 1. For diffuse radiation, the albedo is the “standard” “everybody knows it” value of 0.066 for all solar elevation angles. If the solar radiation is diffused through clouds, use this albedo. ONLY. But first, reduce the remaining solar radiation as for direct radiation on a clear day because the atmosphere still attenuates the energy received at top-of-atmosphere. Then, reduce the amount of radiation by 70% because the clouds reflect sunlight off of the top of the clouds back into space. Then, if storms (high winds for example) reduce the radiation by the energy lost in the clouds themselves. Usually, the final radiation is 10% of the top-of-atmosphere values or less. For direct radiation, clear skies. Calculate the earth’s declination angle, the day angle mu_day, and the hour angle to get the solar elevation angle. Calculate the air mass for that solar elevation angle, and assign (or select) an appropriate atmospheric clarity value. You might be given a solar elevation angle directly. Regardless, you will have a solar elevation angle. Thus, you get the following. Note that over 30 degrees SEA (60 degrees SZA) you end up back at Wikipedia’s default 0.066 “standard” albedo. This is why the default Wikipedia albedo is “adequate” for equatorial latitudes going as far as 45 – 50 degrees, and for midday albedo at certain times of the year in the Arctic summer. You started something and answers/suggestions/discussion started. I don’t know much about the specifics of Great Lakes warming/cooling and this was very informative. so? this year they learnt from last and stockpiled coal etc? But Cool in every sense of the word. Climate is what one expects while weather is what one gets. Warmist cooks have been expecting and predicting super-warm anomalies and rising sea levels for 25 years, only to get the weather that they did not expect and the insignificant increase in ocean levels, if at all. The famous ‘children will not know what snow is’ prophecy has long gone awry, together with rising ocean levels, disappearing Arctic ice and desertification of the Amazon among many others. The planet is on a cooling curve due to the current solar slumber which leading solar scientists predict that this may last decades and result in a Maunder-like event. Unless they warm, then its climate. When we point out extreme cold, the warmists always say “GLOBAL warming”. And then they will, in turn, use some abnormal warm spot to prove that. This season is Alaska being too warm for the Iditarod race. When it is cold, a warmist will say “everywhere else is warm”; but when it is warm, a warmist will say “see, I’m right”. Heads I win, tails you lose. For what ever reasons Lake Michigan seems to have the least propensity for freezing over. It is further south than Superior but not as deep. It has to have something to do with it’s profile and the north-south orientation of it’s long axis. Seems that the western shore areas are usually the first to freeze and those shores would be on the lee side of the lake in the prevailing winds. But still I think there has to be something else, something not yet understood, to explain why it is a rare event for that lake to freeze almost completely over. Some of that delay (between lakes Michigan and Superior) is due to the lower latitude of Michigan (Superior is further north) , and the deeper water of Superior, but not a significantly greater surface area. Lake Michigan is modestly deep, but runs north south. Shallow towards the south end, deepest (as you would expect) in the center where today’s “open spot” still leaves a hole for the water to continue to cool off by radiation and evaporation to space. Take a rough triangle at the south end: top is at 43 north (Milwaukee to Grand Rapids to Chicago), bottom is at 41.5. Weighted average area would be a little north of 42.25. Compare it to Lake Superior, whose entire surface is up at 47 north latitude. Yesterday, day of year 49, 18 February, that meant a total of 320 watts/m^2 x 2 hour interval = 640 watts/m^2 extra heat received in south Lake. Michigan than into what would have been the water in Lake Superior. The deep water of Lake Superior, compared to the shallow south end of Michigan will keep the upper surface water (that part which will freeze!) much colder as well, so Superior upper water “starts off” much colder in November, December, and January. Lake Eire is also at this 42.25 latitude. And, and as you see each year, it also takes a long time to freeze – but Eire is shallower, and so it does freeze completely over to reduce/eliminate the :lake effect” snow on the southern and eastern shores. Unfortunately, it “does” freeze over, so the snow will ease (less evaporation from ice-covered waters) but that means no heat gain either into the air moving east and south. If all the lakes freeze over, the resulting future weeks before the final thaw will be colder, drier. This far south, that extra ice IS reflecting a significant amount of solar energy back into space, never to be seen again the rest of the year. Actually and surprisingly the Great Lake that freezes up the least is Lake Ontario. “Some of the Great Lakes are far more likely to freeze over than others. The Canadian Ice Service (CIS) has been keeping statistics since the 1970s, and has calculated the likelihood of the lakes freezing to the point where 90 per cent of their surface is covered in ice. Well at least we know the heat has not been hiding in the great lakes. Waterloo, Ontario earlier this week had its coldest night on record with -34.9 ℃, that is -31 Fahrenheit. We are located on the peninsula between lakes Erie, Ontario and Huron. What? you like pouring rain 9 months of the year? I love the weather in Hawaii. Tell me that was sarcasm. -Does it always rain here in BC? -I don’t know, I’m only five! I pay special attention to Lake Michigan, since lake-effect snow from it directly affects me. Right now– it’s still open, so the lake-effect snow machine is still in business in Northwest Indiana/Southwest Lower Michigan. Lake Champlain in VT has also frozen completely over for the 2nd straight year. Fairly rare that it happens 2 years in a row. Do be aware that 2014 was – we are assured, & possibly also on Wikipedia, which even I can edit, and so must be the ultimate, un-controvertible reference – was the ‘Warmest Evahhhh’. I guess Lake Champlain needs a consultation or several on its anger management issues . . .
Is this more evidence we are on the cusp of the next grand minimum? @Russ, yes that is something to actually fear and if Svensmark is on the mark humanity has a real problem. I’m wondering if Chesapeake Bay is going to freeze over again. Not likely, it hasn’t been cold enough for long enough. I remember as a teenager driving down the Magothy, down the bay past the oyster men at Sandy Point tonging oyster through holes cut into the ice into the beds of their pick-ups, under the Bay Bridge (most dangerous part, the ice around the pylons was thin), up the Severn, exiting at a boat ramp on Weems Creek in Annapolis. I really didn’t have much common sense back then. And the great lakes freeze from global warming? It must be the hottest year ever. Like that mental pygmy John kerry says, “with global warming we can expect more of these extreme cold events. So the hotter the earth gets the colder the temperatures will be. The NNW surface wind blowing across Lake Superior is 7 mph and at -16.9 F and as it crosses onto the southern shore is -1.7 F at this time. (10:12 AM) Seems it is picking up a lot of heat from what little open water there is on Lake Superior. Here in NW Wisconsin this morning it was -31.4 F at 6:30 AM local. I wonder who picked the colours for the graph – at least they make the lakes look hot! I think that it has to do with the decline in lake levels over recent years. The water level in the great lakes is ebbing lower over the years and hence the water is more likely to freeze. As the water levels fall the freeze may be total in later years. The St Lawrence used to be frozen nine months of the year once upon a time. That has not happened for the last twenty years. So from all indications the receding water levels in the lakes seem to support the freeze up. 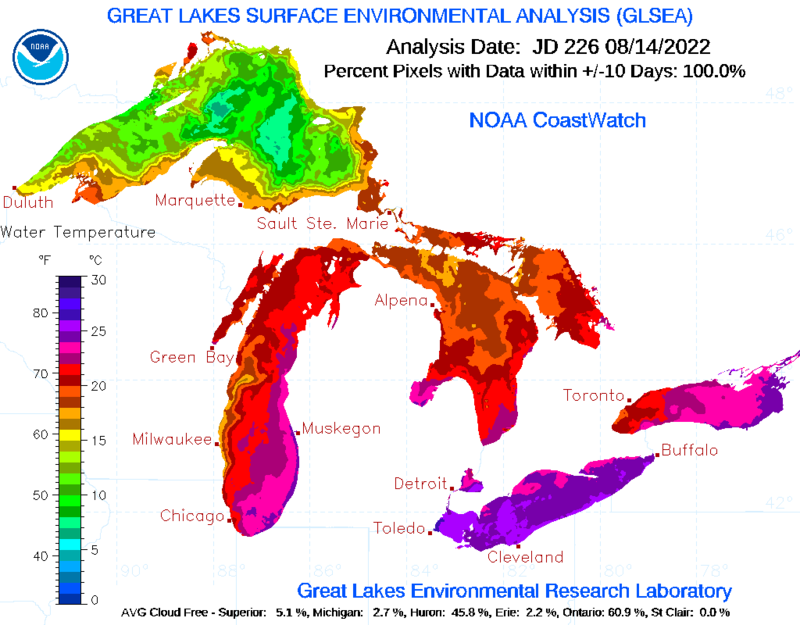 All of the Great Lakes are at or above their historical average currently. Lake Superior completely freezes over about every 11 years on average. It did it last year and looks to be well on the way to doing it again this year. Its water level, as measured by me against a concrete poured over Basalt boat slip, is also high. Isn’t 11 years the length of the solar cycle itself? As we all know, and I am guessing you do too, Correlation does not necessarily equate to Causation. Not saying it isn’t solar cycle related, never put any thought to it, but in order for the big lake to freeze over you need the combination of a prolonged period of low temps and light winds. There is not a lot prettier, in my opinion, than watching the spires of mist rise off the unfrozen surface of Superior when the air temp is at or below about -10 F (-23 C) as the big lake gives up heat to the atmosphere. Absolutely gorgeous if you have had the good sense to dress for warmth. Coldspots move over the planet . The last two years N.America has been cold while Europe has been not so cold. Here in Stockholm temperature has been sitting at the freezingpoint for weeks. which is a rather mild winter. The Baltic sea is practically ice-free , whilst in a real winter its possible to walk from Stockholm to St.Peterburg over the ice. Any bets on where the coldspot will be next year ? Look at the ocean water temps to give you the best indication of winter air temps over the planet. The warm pool off the North American west coast and the position of the warm/cool pools in the tropical Pacific essentially dictate where winter highs and lows form. These dictate where the jet stream flows driving arctic or maritime air. Don’t mention coldspots please, we suppose to be looking out for the hotspots, the missing ones. Keep quite and don’t spoil it for the AGWers, they still looking for the hotspots, desperately. Coldspots will F… that totally, up to a point in to tempting them to proclaim that the couldspots are indeed the missing hotspots they being looking out for so long and finally found. I live on the western end of Lake Ontario. The predominant wind direction is from the Northwest to the Southeast which usually leads to relatively low snow fall accumulations where we live. This year we have experienced a number of storms from the East-North-East that have led to significant accumulations. These storms have been characterized by very cold air around the -20C mark. I think it is this combination that has led to a significantly larger ice area this year. Today I saw a photo of a nearly totally frozen Niagara Falls. It’s on the UK Telegraph, in a series of photos showing the record snow. Sunrise 7:37. Very cold, windy and lake-effect snow which is the same forecast as Wednesday. Snow will accumulate 2-4 inches that will bring our snow total pretty close to a 100 inches this season. High 11. Low 4. Winds northwest 20-30 mph. Sunset 6:22 pm. How come when we have a few degrees above average it is called an end-of-the-world event brought on by man-made CO2 emissions, shown on all MSM around the world, but when it’s 20 C below average we don’t hear one byte of news, or at best it is blamed on global warming? If such record cold anomalies can be blamed on global warming, why aren’t warm anomalies blamed on global cooling? Have a guess which worldview/interpretation is more likely to get the grant dollars rolling in. I know you know. You know I know. How can we get the tax-payers, and voters, to understand? For those that don’t know, all the Great Lakes data is found at a WUWT page in the ‘Reference Pages’ drop down menu: scroll to ‘Sea Ice Page’ where there are three options, one of which is Great Lakes Ice Page. It’s noticeable that icing has accelerated very rapidly the past week……. Exactly. This site.. http://www.ec.gc.ca/glaces-ice/?lang=En is where that graph came from. Great site. For those who like the weather in BC, which is a fine place to live, or Hawaii, which I’ve heard is a fine place to live (if humid and expensive), right here on the coastal plane of Southern California is fantastic. And, since the weather here varies so little, weather = climate. Someone has to say it, so here it is: near record ice covering of the Great Lakes is further definitive proof of global warming. Exactly. What we are seeing in North America is the result of Arctic amplification (Arctic warming at a faster rate than mid-latitudes), causing the Jet Stream to take extreme paths. Parts of the Arctic and other parts of the Northern hemisphere are seeing record warmth, while eastern North America experiences record cold. Evidence is mounting that this a direct result of AGW, with severe economic consequences (ask folks in Boston). There is nothing extreme about the Jet Stream path. The rest of your statement is equally false. Barry; Its not a warming Arctic, take a reality check, its happening world wide(northern hemisphere). Barry when there is snow on palm trees you have a problem and its not AGW. By the way, how may times has it snowed in Saudi Arabia in the last 3-4 months? Why don’t you look that up and get back to us , Also add Morocco,Tunis, Algeria just for kicks. Barry’s kind of mendacious pronouncement is getting beyond old and now is no more than cold blooded fraud. It doesn’t matter if he believes the crap he is spewing or not. Nothing about any of our current or recent weather represents any evidence AGW. Barry’s presumption of a relationship is not evidence of anything but his own naive susceptibility to believing in a the boogeyman CO2. Barry where are any scientific measurements located that connect CO2 emissions/AGW to any weather at all? Various lying bozos talking about it in modeling conjecture laced reports which refer to their baseless speculation as “findings” is not scientific evidence of CO2 causing anything. Regardless of any Peer Review that likes the pitch. The severe economic consequences will come as a result of the EPA’s virtual outlawing of the use of coal and the other idiot governmental actions involved in the needless war on carbon. When your electric bill skyrockets or you flick the switch and your lights or funace don’t go on because your wind or solar power is not reliable, then perhaps you will get real. What part of the northern hemisphere is seeing record warmth? You will have to excuse Barry as he does not know how to use the SARC tag. A couple questions Barry. Shouldn’t we also see amplification in the Antarctic? And if not, why not? And, why do you mention amplification in “parts” of the Arctic? Why would the amplification not be uniform? The temperature is predicted to be -34 degrees Fahrenheit tomorrow in Yellowknife, Canada. The cold is caused by the Jet Stream changing path? Well, that could be true. But was the Jet Stream move caused by AGW, or does the Jet Stream move naturally? Maybe the Jet Stream shifted the other way around 30 years ago, causing warming that was then misinterpreted as AGW? You see, the IPCC report and the computer models all operate on the basis that global average surface temperature is driven by forcings. But a Jet Stream change is not a forcing (you can check that by looking in the IPCC report forcings table and its mapping to temperature), yet it can change the temperature of a significant region, which then feeds into the global average. So a Jet Stream change which causes regional warming therefore also causes GW. This GW is then easily misinterpreted as AGW simply because the IPCC and the models have to find [invent] a forcing somewhere to explain it. Barry: “Evidence is mounting that this a direct result of AGW”. Links? No, didn’t think so. Trolling good tonight? Thanks for stopping by to regurgitate the mindless drivel you’ve been programmed and indoctrinated with, though. Appreciate it. The Great Lakes froze over in the 70s and 80s because of global warming. They didn’t freeze much in the 90s and 2000s because of global warming. And now the Great Lakes are starting another freeze cycle, again due to global warming. Apparently AGW works in mysterious ways. what, exactly, would be sufficient for you to cease to cling to your belief in AGW? Here in uk we’re having a very warm feb. Our atlantic gulf stream has been keeping us very warm for several years now which has given us different fish in the sea and caused some of our sea birds problems in finding their favourite food. Its supposed to be going into a cold phase – seemingly slowly. Love sarcastic comments from the mods. Enjoy some photos of Niagra Falls freezing. The Great Lakes about to freeze over. Is there anything globull warming can’t do? Help me there. Doesn’t the record low appear in late NH summer? Isn’t it winter now? You warmists pretend to be worried about the NH ice extent in February now? What kind of clowns are you? Tracking the 2006/2011 record low ice years? It’s also tracking the 2013/2014 record recovery years. It’s because we are in the part of the natural cycle that we were last in 30+ years ago(from the 1950’s-70’s) when we had slight global cooling. My analog years for these past 2 Winters have been 76/77 last Winter and 77/78 this one. Both Winters were bitterly cold and snowy in the Midwest/East and featured a severe drought in California. Using this method is not always reliable to predict Winter weather but at least it yields .increasing odds based on past weather/climate compared to where we are now. Joe B has been doing the same thing for years. I believe 77/78 was one of his favored analog years for this Winter too. The pattern up until recently was matching up well, except shifted east of what occurred in 77/78, so the East Coast saw the brunt of the cold/snow. The very warm dry weather along the West Coast also shifted into the Plains. This will eventually allow most of the country to warm up as mild Pacific origin air floods the country will more of a zonal flow…………in week 2, as an upper high builds in the Southeast. Cold Arctic air masses will still have a chance to drop into the northern tier of states for a little while. The frozen lakes again this year has been compliments of a polar vortex type, cutoff upper level low at times. In those Winters mentioned above, we had numerous visits from this feature. This does not happen every Winter but in some Winters, will happen many times because of the overall pattern. Interesting that, like last Winter, we are not seeing extremely negative values of the Arctic Oscillation(-AO) as a powerful ridge/upper level high in the Northeast Pacific/West Coast of North America is the source of our Arctic cold(with the down stream upper level trough/plolar vortex type low). vs a blocking Green land high that causes the -AO and was featured in our cold Winters of 2009/10, then again in 2010/11. Europe often gets in on the extreme cold/snow with the -AO. 2011/12 was the exception, being very mild and of course was followed up by the drought/heat in the US during the SUmmer of 2012. So you can see that even when we have a regional climate cycle that is favorable for cold/snowy weather that persists for a couple of decades, there will be weather that is just the opposite in some years. Just like the 80’s/90’s featured very mild Winters but 95/96 and 2002/3 were exceptionally cold(if I remember correctly). Forgot to mention, potentially the most significant aspect to the pattern change shaping up in week 2……….with the main large scale features retrograding in the US. The big upper level ridge along the West Coast is gone and replaced by a strong Pacific jet stream which will bring several opportunities for needed rain/snow to various places in the West, most of which will be very welcome. This is in the week 2 part of the forecast. As someone who comes from Southern Ontario’s “snow belt”, I can tell you that people will actually be celebrating, as the open waters of Lake Huron (and its large Georgian Bay) create massive snow squalls when combined with west and south-west winds. Now it will just be snow and frigidity. Ice fishing Erie a couple miles out from the south shore (took an ice taxi) back in the early 70s, when it was warmer and the lake was open, a south wind came up and took a very large section of our ice out toward Canada. Now, the rule was that the Coast Guard would send a helicopter for you but just you, not your equipment. So, we had to sprint for shore before the break in the ice became too large to step or jump over. We were lucky that day and the piece of ice that broke off and headed north was very large and moving slowly and we were able to step over the break and reach shore. But then it was warmer back then. No such problems ice fishing Erie recently, as long as you don’t freeze to death. The [Great] Lakes are infected by ice-nine. In a deplorably warming world there is no other rational explanation to record ice cover. It must have made its way there from as far as the Southern Ocean. In a dangerously warming world, these things become less and less frequent and eventually, extraordinarily rare. However, natural cycles can still dominate and over ride greenhouse gas warming, especially on a regional basis. This is especially so if the greenhouse gas warming is not as powerful as expected, which allows the natural cycles to dominate, like they did in the 1970’s for instance………which is what I think is happening. Clearly, during the past 2 years, the Midwest and East of the US has had some of the most extreme cold/snowy anomalies in Winter as well as some unusually cool Summer weather. Last Summer for instance, here in Indiana, we had our coolest July in history. I write articles for our local paper on climate change/global warming. This type of weather makes me look good to some people but if I was living in California and doing the same thing, it would make me look bad to the same group which has a hard time separating weather and climate. All the ice in the Great Lakes the past 2 Winters is both weather and climate. Weather is short term. 2 Winters in a row still don’t make it climate but then, it is actually part of the climate. Climate, is just weather averaged over decades, along with the many extreme fluctuations that happen during those decades/period . Climate has cycles, this one around a 30 year natural cycle when the weather during that period will feature conditions that differ significantly from the average, more often and in one direction. Those same conditions will often be reversed with anomalies that are the exact opposite during the flip side of the climate cycle. So much Ice in the Great Lakes for 2 Winters in a row, to me just signals that our natural cycles, especially on a regional scale are still more powerful than global, greenhouse gas warming. Global temperatures currently are a bit warmer today than they were in the 1970’s for instance but the regional weather in the Great Lakes can still revert back to the 1970’s brand of cold/snow/ice without much effect, if any from the slight global warming. “So much Ice in the Great Lakes for 2 Winters in a row, to me just signals that our natural cycles, especially on a regional scale are still more powerful than global, greenhouse gas warming.” And all this time I thought GHG warming IS natural and without it we would have never left the ice age. Unless you are referring to AGW? So, Mike, as you know all this, the climate scientists must also know it right? And obviously they didn’t know it 20 years ago because the model runs all do not predict it, right? So you surely agree that we should now dump all these obsolete models and replace them with better ones, right? In other words, all current predictions of global warming up to the year 2100 are junk as well, right? BUT, if the models are junk, and the models are the representation of the CO2AGW theory, is the theory then not also junk, and must be replaced by YOUR newer, better theory? Ironwood, Michigan on the south shore of Lake Superior…currently -6 F and season snow total to date 162 inches. Might be above zero tomorrow. I’ve been an operational meteorologist for 33 years, a profession with a higher % of skeptics than any other. We are atmospheric scientists too and its the same atmosphere and physical laws and college classes that our climate scientists look at. As a meteorologist, I will give you my subjective meteorological view. One thing is that climate is their area of expertise. This of course is why the world follows their views regarding global warming and climate change. But what is the climate, other than weather that occurs over a long period of time? You can’t completely understand the climate without also understanding the weather which makes the climate what it is. If you understand weather completely, that does not mean that you are an expert on what the effect of increasing CO2 is…….which is supposed to be in the realm of a climate scientists expertise. In the 1990’s, I believed almost everything I read about the effect of increasing CO2 to the temperature of our atmosphere if it came from a climate scientist. However, I’ve had the privilege to observe and analyze the global atmosphere daily for decades and look back at it from previous decades. My observations don’t match with what I used to believe that is still coming from many climate scientists. The fact is, there is a disconnect between the actual atmosphere that meteorologists follow closer than any other scientists and the projected conditions of that atmosphere from global climate models that climate scientists use. Climate scientists have a better understanding than me about all the mathematical equations to represent the physical laws of our atmosphere. I use weather models all day long(climate models use different equations and are much different) and have constant reality checks that require reconciliation between the models and what is actually happening. A climate scientist at 25 years old, making his first 50 year climate projection based on the latest climate model output, will be an old man before there is a complete assessment of how well that particular projection did in the later periods. This is an extreme example and they would make changes well before then. However, humans have this cognitive bias thing. Once you are convinced that you are right about something, it takes more information, by several orders of magnitude sometimes, to convince you that change your view. Especially, if your belief is protected or sheltered from forced reconciliation with reality, like the nature of long term climate projections are for instance. Climate, by definition is a long period of time(of the weather). The longer the projection(forecast) the less immediate the need to make changes. If a Winter storm headed for Indiana on Saturday has changed its track, I better get the update out immediately or the forecast is a bust. If it’s coming in a week from Saturday, and suddenly the models change the track or an outlier model does, I may wait for a couple more model runs to have more confidence in saying something that changes/contradicts what I said yesterday and what I was sure of at that time. When climate scientists are convinced of their models that project to the end of this century, the urgency to adjust the projections does not exist. If the end date for the projection had been 2015, you would have seen adjustments long ago. The projection and reality must meet at the end point. If the end point is the year 2050 or even 2100, what’s the rush? It’s still just 2015 and there are all sorts of things that could be temporarily slowing down the warming. Seriously. If you became convinced in the 1980’s/90’s that most of the warming was from increasing CO2 and programmed climate models based on this, then why would you not justify the warming haitus with thinking like that? The only way to look more silly than waiting too long to adjust/update a projection/forecast if you are a meteorologist or climate scientist is to make the adjustment/update too quickly and then be wrong because your original projection/forecast was correct. 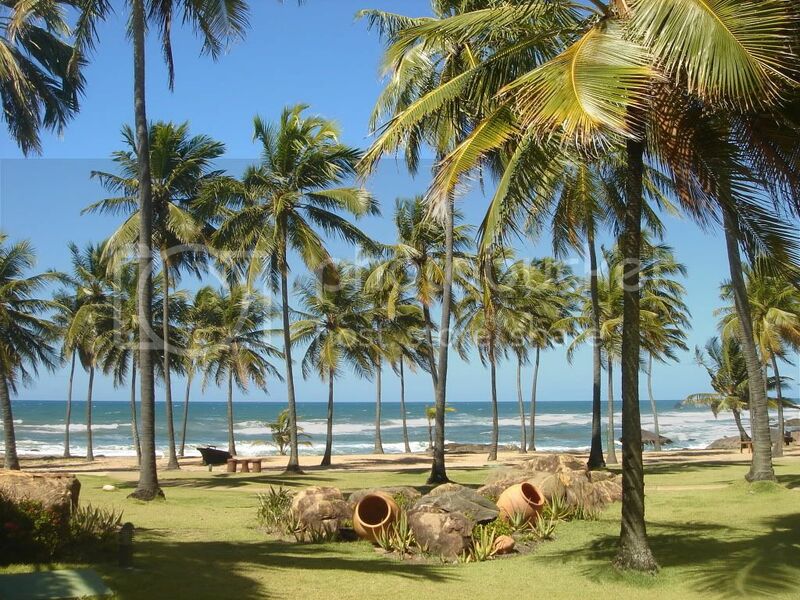 Out for my morning Mai Tai…..what’s all the freezing hubbub about? Can someone please explain the notation used on this map? I don’t know what 7/10 or 9/10+ means. The color coding is in tenths, so 7/10 means 70% of that region is ice covered, 9+/10 means more than 90% etc.. The “egg code” is a little more esoteric, and I don’t find it particularly helpful. It seems to be more for multi-year sea ice than lake ice, but I don’t understand it fully. Thanks for the egg code name and link. I’ve been reading this whole post looking for an explanation. Now I don’t have time to read it this AM. OK. Sincere thx for your help. I now see that these egg codes were designed for characterizing sea ice and glaciers. Let’s hope they don’t become generally applicable to the great lakes. I don’t think being applied to lake ice is necessarily a problem. There is some underlying information that might be of interest. For example, in the figure at the head of the post the egg codes for regions labeled C and D show that both regions are 100% ice-covered, but regions C have more “thick” ice than regions D.
That’s a level of granularity that I personally don’t find particularly enlightening, but some might find that information useful. Since the egg codes for the Lakes generally have only two numbers per line rather than three, and since it’s not at all clear to me what they mean by age of ice, I think it would be helpful if the natice site had an explanation specific to the Great Lakes rather than having a link to a description that mainly describes sea ice. its a nice day here in maine, finally a warm 22 deg day and a night that was above 0f. course its snowing pretty hard right now. iirc so far this february I’ve only have 4 nights that were above the 0 to 2 F mark (I have slight window leakage so the temps could be 2 deg colder than what thermometer says) and most were anywheres from 0 to 25 below F.
many -5f nights which are not too bad but we always had winds of 25 or so mph so the wind chills this month were certainly very odd. This is a good link if you want to watch this historical event. 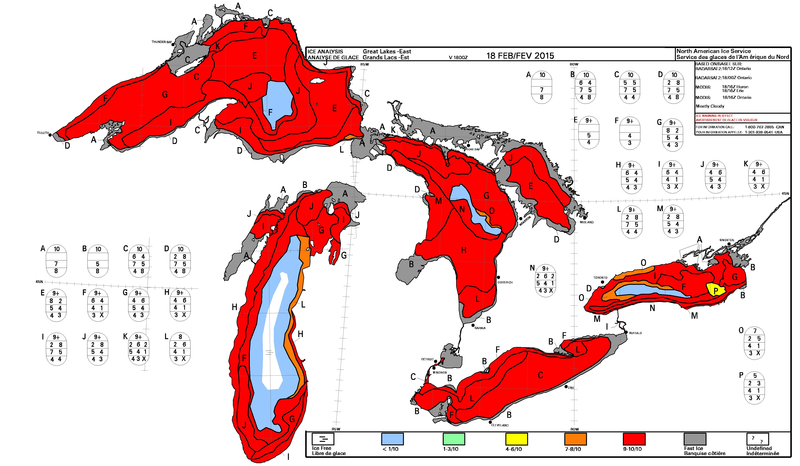 Great Lake’s total ice cover is currently 85.4%. The warmists are still appealing to ‘climate change’ from AGW as the cause of high latitude cooling both poles. Has anyone heard the warmist explanation as to why there is now the highest sea ice in recorded history (all months of the year) in the Antarctic (note the increase in sea in the Antarctic started in 2012 and coincided with a recovery in sea ice in the Arctic). If there is record sea ice in the Arctic will the UN sponsor a global celebration, ring the bells? Mission accomplished, global warming has been conquered. It will be a record of all time. Next week, still arctic air. I fear that we will continue to hear ludicrous claims of CAGW despite the likelihood that the Great Lakes are all set to freeze over. And, that we won’t stop hearing ludicrous claims of CAGW until hell freezes over. CAGW causes Hell to freeze over, too. Alan, I hate to say it but the green location sign you’re showing for ‘Hell’ shows it freezing under, not over. That is not proof that hell has frozen over. My sincere apologies to bozos everywhere. I recall reading that the Great Lakes were significantly colder than usual after last winter (3 degrees, I think), and that this additional mass of cold water could impact the coming (2014-2015) winter, making it colder in the northeast & east coast than it normally would have been. If that is indeed the case, might we be in store for a repeating cycle? Looking at the weather map this morning, I noticed an isolated circle of extra cold, from SE Missouri through far southern Illinois and into Indiana and Kentucky. What stuck out the most was a -18 at Cape Girardeau, MO. I thought wow, that cold, that far south, it’s got to be a record, and it is, by a mile. Not only that, but digging through the weather records at WU, that blew away the record for all of February of -11. In fact, the coldest day I could find, was that -18, which looks to me to be the all time record. They’re now saying -19. If so, that would be an all time record. Pretty news worthy whenever all time records fall. Would have been nice if this animation had been done with the same projection, and maybe with temperatures as anomalies instead of absolute. Still it gives a nice feel for how cold air coming out of the Arctic into NA is offset by warm air other places — like Alaska and N. Europe — causing them to be unseasonally balmy. How very fortunate for those who dwell in those frigid climes. Once again selective vision causes you to forget how to do algebra. We could always talk about Antarctic sea ice extent I suppose, but late September is a long way off yet. Word is that folks in the northeast are wondering about CO2. Seems that they are disappointed with the results so far. Don’t want to be there when they realize that they have been conned. There’s always a chance they’ll recall the meaning of the words “global mean” or “long term trend” and forgive you for being so innumerate. But sure, you may not wish to risk a visit any time soon. Here in the northeastern US it’s been so cold that climate campaigners at Yale had to cancel their “global warming” rally for Global Divestment Day for the forseeable future. It just doesn’t get any better than this. Thanks for taking the time to write that explanation. It made for interesting reading. Some ten years ago, maybe, Walter Pitman came to U. Wyo. and gave a seminar about an idea he had regarding the rapid end to ice ages. If I recall rightly, he suggested that the insulating ice covering would allow a covered ocean to maintain heat, which then would facilitate large Polynyas to open, pump heat into the atmosphere and clear the surrounding land areas of ice. The resulting albedo feedback would end the ice age. I like to argue with guests and I was quite unconvinced with Pitmans scheme, because, I argued, open Polynya would radiate very effectively and this heat would likely never stay around to melt ice. It would be gone to space. It seems to me there is some of your explanation in what he was trying to outline, but your explanation also shows that the process is very complex. There are many competing factors and it’s also location dependent. And based on where I live, we have had maybe +4 degrees C compared to “normal” winter for a second year in a row. Just wanted to let you know. This latest record breaking air-mass, follows a traditional path, that avoids any open water. That is how it is able to retain its bitter cold characteristics for 1000s of miles. It fallows the characteristic shape of the Laurentide Ice Sheet, and is the product of, a cold air mass, that originates in Siberia, and passes north of Alaska, before descending into the eastern half of North America. It is a reminder of why we have Glacial Ridges in the Midwest, and bare rock scrapped clean, in the North Central regions. Jet Stream meandering (mentioned by one or two commentators further above) has not much to do with the AGW, but often has to do with ionising upper atmosphere by solar particles impact, measured by Ap index and visually observed as an aurora. As soon as the impact is over Ap index and aurora will subside but the layers of atmosphere stay ionised for days and even weeks, depends on the strength of initial impact. 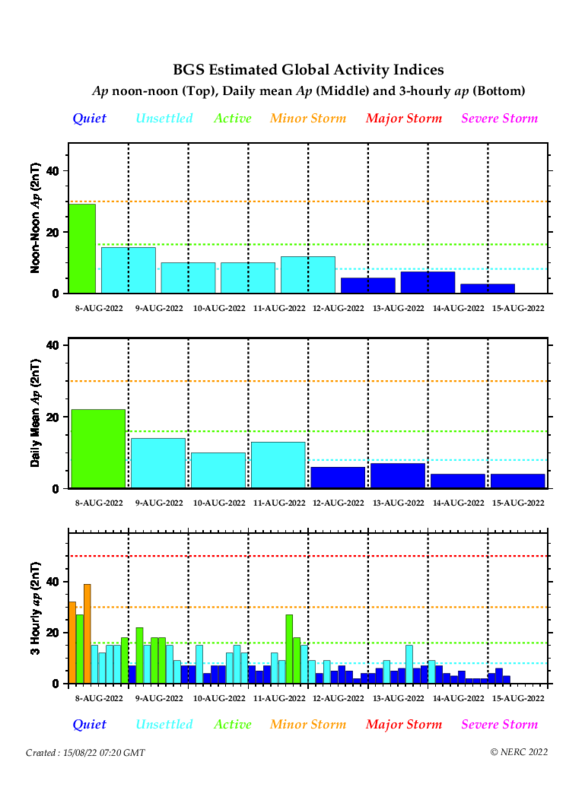 There were geomagnetic storms in the recent weeks, most recently a major one just two days ago http://www.geomag.bgs.ac.uk/images/aphisto.png (bottom graph). Another location is Kursk magnetic anomaly (north of Black Sea). Very interesting – great information! Checking the 10 day forecast for Chicago, Adrian, MI, and Buffalo, NY and a bunch of other cities around the great lakes doesn’t bode well for any melting to occur on the lakes. Not many of the cities will go above freezing, and a lot will bottom out below 0 F for 6 of the entire 10 days. Could be another new record this year for Great Lakes ice. Or did people actual think their was some science behind it ? Meanwhile, down just north of Tucson, AZ, it was in the 70s today. I got so hot killing weeds and buffell grass…which ia an invasive species from Africa. But one must struggle to take care of the yard. Lake Champlain frozen over completely (closed) for the second year in a row 16 February. See NWS and Burlington Free Press below. I just checked the Thursday NOAA report for the latest Great Lakes Ice cover. Even though Wednesday night was below zero F for much of the lakes, The % of ice cover for Lakes Michigan and Ontario actually dropped. This is fascinating and may demonstrate the importance of wind, since the temperature only sure can’t be responsible. Thursday night is to be even colder. I am on the southern shore of Lake Ontario about 30 miles west of Rochester (very near the “N” on that map in the orginial post). At this location the lake bottom is about “waist deep” out to about 100 yards from shore then drops off quickly to several hundreds of feet. A hard “crust” of ice (with mountains from frozen spray) in the shallow water forms once the air temp drops to below about 20 (F) and stays there until the temp rises above that level. The ice in the “deep water” is very subject to the winds. A steady wind from the NW/N/NE will push all the floating ice/slush against the southern shore. A gusty wind will break up the ice. A southern wind will push the ice away from the shore here. When there is no wind a thin layer of nearly flat ice (smooth like glass) will form. When the wind changes the ice can disappear in a manner of hours and open water will be present. Wind has a huge effect on the ice coverage out in the open water. There was open water with waves visible at this location a few days ago, now with steady snowfall there is not enough visibility to see far enough to where the open water normally is. And I am sure not walking out there to see if its frozen or not, probably a thick soup of slush/semi-solid ice on the surface now. Doubtful that there is solid ice all the way across the lake, but it is possible. Given the 10-20 mph winds (mostly from the W/NW) the last few days the wave action is probably preventing a solid layer of ice from forming. This from overseas today. Given the publication times, and all sorts of other delays, take for what it shows. So, you are on the southern shore? This would imply the ice is blocked up on the north shore when the photo was taken. More than 4,700 square miles of ice formed over the Great Lakes in just one night on Tuesday. The Arctic blast that swept the Midwest and Northeast saw a near-record amount of Lake Ontario was iced over, with just 20 per cent of open water left. Overall 82 percent of the five water bodies sealed up. Temperatures are expected to drop again on Thursday night, leading forecasters to predict that figure to climb significantly by Friday morning. Ice is largely uncommon on Lake Ontario, which normally sees around 11 percent cover. Particularly deep, it retains heat longer than its neighboring water bodies. Lake Erie is almost entirely iced over, with 96 percent cover. Almost 92 percent of Lake Huron is covered, and 89 percent of Lake Superior. Michigan remains the most ice-free with 57 percent of cover. Yes, RACook, a few days ago (around about Tuesday) there was open water visible here on the southern shore of Lake Ontario. This matches the satellite photo in your post. The Lake is “highly variable”, calm as glass sometimes and an “angry” froth of water at other times. I have seen very impressive reflections of the rising/setting Sun/Moon off the perfectly still surface of the lake at times, and had it throw an “awful” frozen mist (-20 degree windchill) in my face at other times. But, all in all She’s a beauty, I’m glad I have a chance to live right alongside her. It is Friday night February 20 and I just checked tonight’s ice cover report. I believe it shows the % actually went down for Michigan and Ontario. Last night lows in the area were in teens below zero (at least in Michigan). So I guess just air temperature is not the only cause for the ice. I really thought the % would have jumped up as it did in Superior & Huron. Well that over sized rodent is correct about 39% of the time which makes him quite a bit more accurate than quite a few climate scientists. 38%. Your generosity is appreciated. The probability that both are wrong is about 100 percent. “Warmest year ever What arrogant hubris, perhaps only exceeded by their ignorance. BTW, the groundhog does not have the advantage of adjusting his answer after the fact. On Planet Earth as opposed to Planet GIGO, 1934 was the hottest year (since 1880 but also possibly since the Medieval Warm Period), with 1998 the warmest recent year & 2014 a distant also ran. Attention please: This is Gavin Schmidt, here to tell you never mind the Great Lakes. All the warming is over in Alaska and the NW and that is where your attention should be right now. We will inform you when should start paying attention to Great Lakes again. What are you packing, other than a lame attempt to accuse the other side of cherry picking when that’s where everything you think you know about weather comes from the exact source you are criticizing? Whoa, Engrish fail there. More coffee …. Of course he has the data! He makes it up all the time! Chicago just set a new record low this morning of -8F, the 7 day forecast says we won’t get above freezing anytime soon. The lakes are gonna be making ice for at least the next week. Just heard on the radio that this February is on track to becoming the coldest February on record here on Ontario – beating the average temperatures of the current record – February 1979 – by a full degree Celsius colder. Still a few days to go yet, though. Perhaps global warming will cause the temperatures to whiplash upward? In other news, Australia is getting hammered by not one, but two tropical cyclones simultaneously. Isn’t this a fun game? Once again, a day late and a few hundred bucks short. Yes, and I’d like to get our cold returned so I could skate here (N Europe). Thank you. Since we now know that global warming causes it to be cold, I guess that means you are not experiencing global warming where you are. Alas, here we are on a climate blog and and all we can find to talk about is the weather. Yes, we really need a snowstorm expert like Michael Mann if we want to talk about the weather. John M plays the get out of jail free card. The Aussies can take care of themselves, no ? I’m “suffering” thru one of the coldest February’s evah, in Chicago. Just gotta play the cards She deals. Penn State or the State Pen? Disclaimer: This is a joke. Any similarity to a real person, living or dead, can only be the figment of a paranoid delusional misfit. Way to double down. On this one, I find myself hard-pressed to disagree with you. Glad we agree on this one. We don’t agree on that one. Notice how we’re not even talking about weather, much less climate any longer. Talk about “clever”. Don’t blame me that you chose to start talking about jails. The tail really does wag the dog. Leave your dog and your tail out of this. I’ve completely forgotten what we were talking about. I’d ask the dog, but she’s sleeping. What wags the tongue? CO2? ATP. Being an aerobic organism, the vocal folds are actuated by a CO2- and H2O-enriched airstream. It’s a GHG two-fer! oops, lost the nesting. Meant in response to Brandon Gate 11:41. BTW, also have a post in moderation (d word in the link) pointing out Gates is wa-a-a-a-y late with the attempt at being clever with the double cyclone thingee. Last year the available ice-breakers were struggling to keep critical passageways open for shipping traffic. Anyone know what the situation is this year? I think they have closed up shipping for the season. See this site http://www.marinetraffic.com/en/ I saw only three ships – one by Chicago and two CG boats (Lake St Clair and Lake Erie). There is a new product on the GL page – it compares 2015-2014-2013 by lake. Winds can blow it around, stack it up, or compress what was spread out a little a few days before. It (losing ice during sub-zero F (-25 C’s) does seem weird though, doesn’t it? Today’s snow cover map for North America exactly matches the map of Wisconsonian Continental Ice coverage. One new realization. In addition to the core Laurentide and Cordillaran seed areas, I would have to say that the UP of Michigan is also a seed area. I wonder what would happen if this pattern dominated for a couple hundred years? So can I adjust the temperature data to show that the lakes aren’t freezing over? For the Barrys of the world please inform me of the “correct”, “optimum”, or “default” temp of our Earth. It is a race. Lake Ontario or Lake Michigan? Good grief people get with the program. We stopped calling it cooling or warming years back. It’s “change” now, a less definitive, more flexible term. If anything is different it’s the fault of man. What rule says an event that happens every 6-8 years is unusual? Therefore two term presidents are unusual? I would consider 4 or more lakes freezing over for 6-8 consecutive years to be an unusual or most unusual event, but a single occurrence not so much so. It will be unusual, Chris, if Lake Michigan or Lake Ontario freeze over. Especially, if you go back 10 to 15 years and see what they were writing about the possibility of that for 2015. I am confident Lake Michigan froze over last year, but it was obfuscated with all the “percentages”, etc. by the govt “scientists”. Really, the way it is setup they come up with nonsensical things like 92,3%, etc., much like saying the earth’s total temperature is somehow calculated to within a tenth, and even a hundredth, of a degree … with precision. They obfuscate by going beyond the true levels of precision their data has, and then all the sheep are supposed to believe them. And just like last year, when GL started getting close in mid to late February, suddenly in the middle of a very cold spell … the percentages go way down. It is going to remain cold in the midwest thru at least Mar. 8, so they know they are going to have to play the percentage/obfuscation game. That is why last year I was begging for someone to fly over Lake Michigan (like from Waukegan, IL to Muskegon, MI) to video and show that indeed the lake is frozen over. I live in Hawaii, so can’t do it – but I grew up on Lake Michigan.